The best hybrid mattresses are slowly but surely taking the mattress market by storm. Many consumers choose this kind of mattress over other types and conventional foams because of the many benefits that a hybrid mattress can offer. After all, if you can have an innerspring mattress combined with a foam mattress at the same time and enjoy all their benefits together, wouldn’t that be a better choice? Many of us grew up sleeping on innerspring mattresses in our childhood homes. These were undeniably the most common among all types of mattresses alongside conventional foams. Thanks to advances in technology, new mattresses came out such as those made with memory foam to answer to the needs of many especially those who struggle with back pains and body aches. 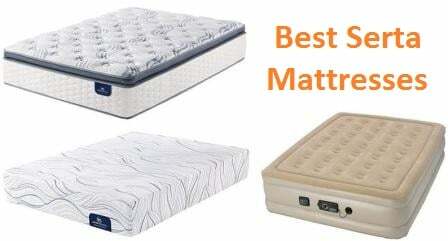 We have also written an ultimate guide about best Orthopedic Mattresses. A hybrid mattress is basically your same old innerspring-based mattress but a whole lot better. We say better because it takes the benefits of innerspring mattresses and all its advantages and combines it with the comfort and benefits of other mattress types. Innerspring mattresses have that familiar feeling of home and the bounce that makes your bed as comfortable as it is. It gets better because it also gets the benefits of memory foam or other foam mattresses at the same time. With those features combined, you are getting the most ideal mattress in the form of a hybrid mattress. Ideally, in order for a mattress to be called a hybrid, there should be 50% innerspring layer and 50% foam layer. However, a hybrid mattress can stay true to its definition by having at least 1.5 to 2 inches of memory foam or other types of comfort foam. Truth be told, because hybrid mattresses are sometimes more expensive than other types of mattresses, there are people who would DIY their own hybrid mattress. They simply take an innerspring mattress and purchase a memory foam mattress topper separately. However, while this works for some, there are many others who believe that this kind of set up doesn’t necessarily have the same amount of support and comfort you can expect from ready-made hybrids. Furthermore, a memory foam topper tends to sag and deteriorate more quickly compared to having the memory foam integrated directly to the mattress. The only advantage is that you can easily replace a topper than having to purchase a whole new mattress. Most of the time, a hybrid mattress’ layers are made up of memory foam or another type of comfort foam on top and the innerspring layer as its base. Many say that a hybrid mattress takes the “best of both worlds”. You are basically getting the benefits of traditional mattresses and combining it with newer technologies and features such as those found in memory foam. The difference between hybrid mattresses, innerspring mattresses and foam mattresses are significant. Of course, non-hybrid mattresses are obviously missing one feature of the other. These are great features, however, in a WebMD article about memory foam, it says that this type of foam is fairly new. Studies about this type of foam are not enough to actually say that it has long-term health benefits as many manufacturers claim. Furthermore, not a lot of people own memory foam mattresses for say, longer than 10 years. The above advantages are simply combined to make a better version, which is the hybrid mattress. Layer Combination and Comfort – As mentioned, hybrid mattresses have varied layer combinations. Some keep it simple with just a layer of memory foam and a layer of pocketed coils. Others have several layers — memory foam, comfort foam, gel-infused foam, spring coils and more. It doesn’t necessarily mean that more layers mean more comfort. Some mattresses have kept it simple but successfully gave maximum comfort to their owners. Special Features – These are the futures that are not required but are good to have in your mattress such as a luxurious quilted cover or foam that’s CertiPUR-US certified. As mentioned, there are some hybrids with gel-infused foams and other ventilation features. There are also some like the Zinus Hybrid Green Tea Foam and Spring Mattress that’s infused with green tea extract that lessens bacteria and reduces odor of the bed. Durability – Ideally, a mattress should last for a decade or so. Especially if you paid a lot of money for it, you wouldn’t want a sagging mattress after a couple of years of using it. The materials used as well as the workmanship matter on hybrid mattresses. It’s a great bonus if the manufacturer adds warranty coverage too. 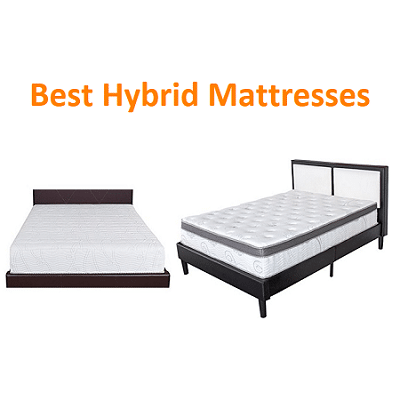 Pros and Cons – Lastly, a hybrid mattress may not be perfect as well. While it takes the best things from innerspring mattresses and other foam types combined, there may be features that you wouldn’t appreciate such as a mattress being too firm or too plush. Check on the pros and cons and check whether you will be satisfied with what the mattress can offer you. If you find the cons acceptable because the pros are greater, then you found your perfect mattress. You may also check out the best mattresses for backpain for some alternatives. To come up with an accurate ranking of the top 10 best hybrid mattresses, we took the above qualities into consideration as well as the reviews and ratings of thousands of owners of these mattresses. In addition, the hybrid mattress must offer most value for your money. To help you narrow down your selection of mattresses, check out the top 10 best hybrid mattresses below. If you are decided on investing on a very comfortable mattress that will make you sleep like a baby every single night, the Simmons Beauty Rest Recharge Hybrid Plush Mattress is hands down one of the best out there that you can choose. This mattress is the priciest product on this list of the best hybrid mattresses but it truly is worth every dollar you spend. Once you own this mattress, you wouldn’t want to be replacing this anytime soon and you probably wouldn’t want any other mattress to sleep on in your lifetime. 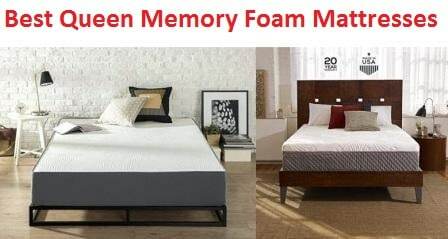 Or you may want to also consider the best gel infused memory foam mattresses. Just one look at the Simmons Beauty Rest Recharge Hybrid Plush Mattress will already make you think how much of a luxurious and comfortable mattress this is. Truth be told, this one’s made for royalty as it is very comfortable unlike any other. This 13-inch mattress features a Trans-flexion comfort technology, which offers a no break-in period for your bed. While you have to wait for 24 to 48 hours for some mattresses to get to its original shape, and a few more days to feel the maximum comfort it can offer, this bed is consistently comfortable. From the first night you sleep on it until the day you realize it’s time to replace your mattress, you will feel the same amount of comfort that you will surely appreciate. The Simmons Beauty Rest Recharge Hybrid Plush Mattress offers an energizing sleep experience. True to its name, you can certainly get your well-deserved beauty rest with this mattress thanks to its pocketed coil technology combined with a layer of Air-Cool gel memory foam. It conforms to your body and offers pressure relief. It also has a motion separation feature to lessen motion disturbance. You won’t have to toss and turn all night long while looking for the best sleeping position and you wouldn’t mind having someone sleep next to you as well. For its price, it is very understandable if you’re looking for special features that can be found only on this bed. For instance, you will love how the Simmons Beauty Rest Recharge Hybrid Plush Mattress comes with a knit fabric cover that will give you a truly soft and soothing feeling as you sleep at night. It is encased in a Beauty Edge material that’s ventilated and designed to offer stability and support from the center to the edges of the mattress while keeping it cool no matter the season. Furthermore, you’ll love how even the loft surface is. The luxurious knit cover doesn’t tuft and is stretchable so that it follows your body as it sinks in. The Simmons Beauty Rest Recharge Hybrid Plush Mattress is made in the USA. The foam used on the mattress is CertiPUR-US certified, which doesn’t only guarantee the absence of harmful chemicals and materials used. This certification also gives you an assurance of a high quality mattress that will last for very long. While it hasn’t been very long since this mattress was released to the market, there are no actual personal accounts if it does last for a decade or so. However, according to owners who are now enjoying the Simmons Beauty Rest Recharge Hybrid Plush Mattress, it is holding up very well and most definitely, it is a promising mattress that will last in your bedroom for many years. When shopping for mattresses and other comfort products, you must have already come across Classic Brands. Many consumers have already tried and tested mattresses made by Classic Brands and a lot of them are very satisfied. You too can start having a very comfortable night’s sleep with your own Classic Brands 14-Inch Gramercy Hybrid Cool Gel Memory Foam and Innerspring Mattress. This mattress is simply one of the most luxurious looking and extremely comfortable mattresses out there. When it comes to hybrid mattresses, this one belongs to mid-priced models that are surely going to give you the bang for your buck. 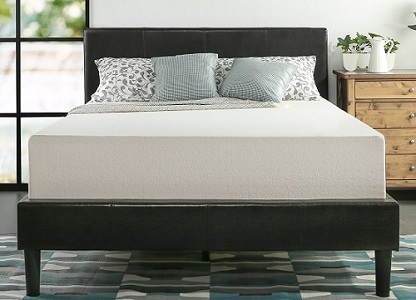 The Classic Brands 14-Inch Gramercy Hybrid Cool Gel Memory Foam and Innerspring Mattress is made up of 6 layers, which gives you the maximum comfort and support. It is breathable, thanks to its gel material and it also offers pressure relief. Its box top comes with an inch of gel infused memory foam that is very helpful in dispersing body heat. This portion also comes with a 0.25 inch over 0.5 inch comfort foam. The second layer is an inch of gel memory foam, which makes the mattress a cool bed to sleep in. Additionally, there are 2 layers of 2-inch comfort foam plus another 3/4-inch comfort foam. This comes in helpful in making the 8-inch support layer of 13-gauge steel coils more comfortable. These coils offer consistent support distribution throughout the mattress and also serve to reduce motion transfer when sleeping with a partner in bed. Classified as a Medium/Firm mattress, the Classic Brands 14-Inch Gramercy Hybrid Cool Gel Memory Foam and Innerspring Mattress offers the right amount of firmness to give you a comfortable night’s sleep. If you’re looking for plusher feel, there are other hybrid mattresses offered by Classic Brands such as their Mercer model. The Classic Brands 14-Inch Gramercy Hybrid Cool Gel Memory Foam and Innerspring Mattress uses foam that is CertiPUR-US certified. This guarantees durability and the absence of heavy metals and harmful chemicals. It can be used with an adjustable base. In addition, it comes with a beautiful quilted pillow top knit cover, which gives you a more comfortable and luxurious sleeping experience. With this mattress in your bedroom, getting up in the morning can be challenging because it will always be so tempting to just sleep in. 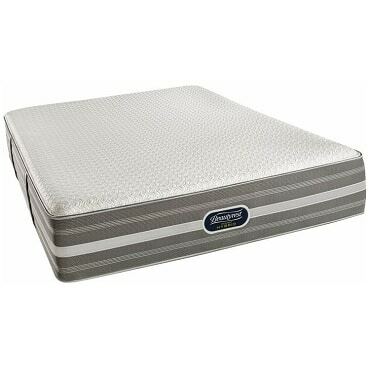 Based on reviews and ratings given by owners of the Classic Brands 14-Inch Gramercy Hybrid Cool Gel Memory Foam and Innerspring Mattress, this product is very durable and is meant to last for many years. There are a lot of people who claim that hybrid mattresses are less durable and require more frequent replacement compared to other mattress types. However, the Classic Brands 14-Inch Gramercy Hybrid Cool Gel Memory Foam and Innerspring Mattress might just be the difference you’re looking for. It is sturdy, stable and wouldn’t sag so easily through time. Even better, Classic Brands is giving owners of this mattress a 10-year warranty. Some owners say the mattress is too heavy. This should be fine especially if you don’t intend to transfer it from one bedroom to another frequently. Serta isn’t a new name when it comes to mattresses. In fact, they came out with a number of mattresses through the years and the brand has become a favorite among consumers looking for luxury beddings. The Serta Perfect Sleeper Elite Super Pillow Top Mattress is also one of the more expensive choices on this list of the best hybrid mattresses; however, it is still very affordable when compared to the Simmons mattress we first featured. This 14.5-inch mattress is extremely comfortable and very durable too. If you are willing to spend quite a bit for your mattress, then this one is a good choice for you. After all, it is very durable and will definitely last for many years. It will still be a practical choice in the long run. 3 layers made up of additional layers make the Serta Perfect Sleeper Elite Super Pillow Top Mattress the comfortable mattress that it is. The quilt layer serves as a fire blocker and comes with a fiber-pillo fill. 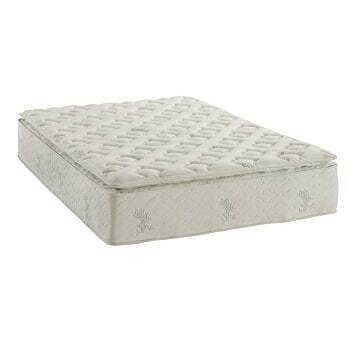 It also comes with a 0.5-inch of Serta pillow soft foam and 0.5-inch of Serta support foam. The next layer is the upholstery layer, which includes 2.75 inches of Serta comfort XD foam. The inner panel is a 1-inch cool action gel memory foam. The support layer offers custom individual advantage that comes with 886 pocketed innerspring coils. This comes with an adjustable total edge foam encasement. The total mattress height is approximately 14.5 inches. While you may use this with your existing bed frame or box spring, you can make most out of the comfort of the Serta Perfect Sleeper Elite Super Pillow Top Mattress with a Serta adjustable foundation such as the Motion Essentials II or the Pivot Head-Up. The Serta Perfect Sleeper Elite Super Pillow Top Mattress is a plush to extra-plush mattress. If you’re looking for a firm mattress, it is ideal to look for other Serta mattresses that are classified on the medium to firm comfort levels. The TrueSense 4.0 design of the Serta Perfect Sleeper Elite Super Pillow Top Mattress with its 4-way motion isolation feature makes this mattress stand out from others. Not only is this feature very helpful in reducing motion transfer such as when you’re sleeping with a partner, it is also very helpful in ensuring that mattress doesn’t sag and roll-off on the edges. In addition, the Serta Perfect Sleeper Elite Super Pillow Top Mattress was the first among Serta mattresses to feature the MicroSupport gel, which addresses a common problem on memory foam – heat retention. This mattress remains cool and supportive at all times. Made in the USA, the Serta Perfect Sleeper Elite Super Pillow Top Mattress proves to be a very durable one. Although there are a couple of owners who may have encountered manufacturer defects, they appreciate how Serta customer support provides timely assistance. This mattress comes with a 10-year manufacturer warranty. Those are isolated incidents though because more owners claim that this is in fact a very supportive and stable bed. It comes with ComfortLast Construction with the Total Edge Foam Encasement — features that were carefully researched and engineered to make sure of long-lasting comfort for all kinds of sleepers. You might be wondering why an innerspring mattress has been included in this list of the best hybrid mattresses. First of all, you must know by now that a hybrid mattress is made usually with a combination of foam and innerspring or coils. In that case, the Signature Sleep Signature 13-Inch Independently Encased Coil Mattress can be called a hybrid mattress — even if the manufacturer does not indicate this on the product description. 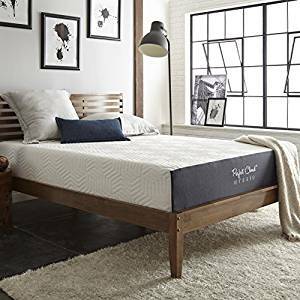 With abundant high ratings and very good reviews on the Signature Sleep Signature 13-Inch Independently Encased Coil Mattress, it is definitely much deserving to be included here, especially since it is quite affordable compared to many other great hybrid mattresses that have already been reviewed. If you don’t have such a large budget for a mattress but you don’t want to sacrifice comfort and quality, this is one of the best mattresses you can consider. The Signature Sleep Signature 13-Inch Independently Encased Coil Mattress is available in Full, Queen and King sizes. For this review, we will be focusing on the full-sized mattress. This is a 13-inch mattress that comes with a soft bamboo mattress cover, which keeps the mattress feeling fresh through the years. It is made up of two layers: 9.8-inch independently encased coils and a 3-inch high-density foam. You will certainly appreciate the 1-inch pillow top of this mattress as it adds a whole lot of comfort that you can’t just find on any other mattress. It features a 3-zone mattress system that is perfectly designed to offer the best support. It is also very effective in pressure relief. This is a plush mattress so if you’re looking for a firm mattress, you may consider other products from Signature Sleep or others that we have already featured on this review. Certainly one of Signature Sleep’s bestsellers with thousands of high ratings and positive reviews to back it up, the Signature Sleep Signature 13-Inch Independently Encased Coil Mattress is one of the most comfortable mattresses out there. The foam used is CertiPUR-US certified. It even has an inch of pillow top foam that adds to the extreme comfort that this mattress can give you. Whether you’re a lone sleeper or if you have a partner, this mattress is definitely one of the best choices you have. When it comes to durability, the Signature Sleep Signature 13-Inch Independently Encased Coil Mattress doesn’t disappoint. It is a fairly light mattress compared to other hybrid mattresses that we have reviewed so far and it only takes about 48 hours for it to come to its original size. However, you can already start sleeping on it the same night it arrives in your home. This product was released to the market several years ago and until today, many owners continue to be happy with the comfort it offers. This is the second mattress on this list coming from Classic Brands. It deserves all the attention as well not only because of its great features but also because it has proven comfort and durability through time as proven by reviews and ratings of very happy owners. 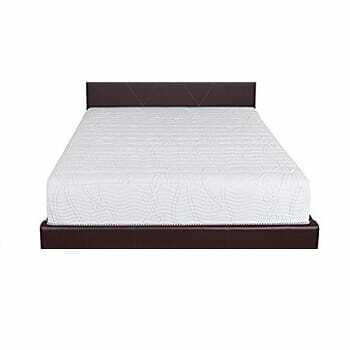 The Classic Brands 11-Inch Engage Hybrid Cool Gel Memory Foam and Innerspring Mattress is fairly affordable especially if you catch it on sale. If you do, make sure you get the chance to own this mattress for guaranteed and comfort that will last for years. The Classic Brands 11-Inch Engage Hybrid Cool Gel Memory Foam and Innerspring Mattress is available across most sizes that consumers usually look for including Twin, Twin XL, Full, Full XL, Queen, King and California King. You can practically get one of these for every bedroom in your home. The layers of this mattress include 1-inch of ventilated memory foam, which makes the bed very breathable. It comes with a 2-inch plush polyfoam that offers superior support and comfort. 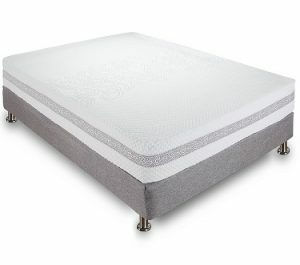 For motion transfer prevention and for pressure relief, the Classic Brands 11-Inch Engage Hybrid Cool Gel Memory Foam and Innerspring Mattress comes with a 6-inch individually wrapped coil innerspring. Finally, it also has a base made of 1.5 inches of firm poly foam for added support. This 11-inch mattress might seem less thick for some but it is already more than enough to give you the right amount of comfort you need for years to come. It is a medium-firm mattress. The Classic Brands 11-Inch Engage Hybrid Cool Gel Memory Foam and Innerspring Mattress comes with a quilted pillow-top kit cover that doesn’t only make it a very luxurious looking mattress but it feels incredibly comfortable and smooth too. 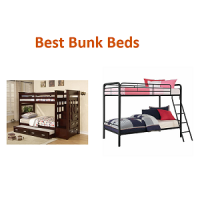 You can use it with an adjustable base or with an existing box spring you have at home. This medium firm mattress is remains cool at all times no matter the season. Best of all, the foam used is CertiPUR-US certified, which guarantees high quality materials used and the absence of harmful chemicals and metals. The Classic Brands 11-Inch Engage Hybrid Cool Gel Memory Foam and Innerspring Mattress is hypoallergenic and dust mite resistant too. A 10-year manufacturer’s warranty is included in each purchase of the Classic Brands 11-Inch Engage Hybrid Cool Gel Memory Foam and Innerspring Mattress. The materials used are all high quality and very durable. The bed doesn’t sag through time. Even the workmanship looks excellent from the outside and you will know that it is indeed an excellently produced mattress the moment you lie down on it. Some owners say that it isn’t as firm as they expected considering that this should be a medium-firm mattress. This is the first among three Olee Sleep hybrid mattresses that we are featuring on this list. The Olee Sleep 13-Inch Box Top Hybrid Gel Infused Memory Foam Innerspring Mattress deserves to be on top of those three because of the very high ratings and hundreds of reviews it has received from owners. 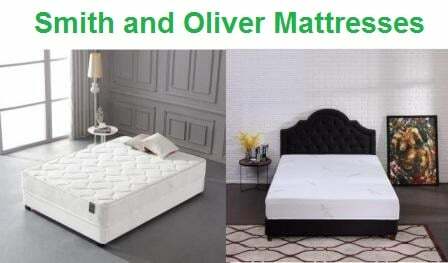 It is a tried and tested mattress that will give you most value for your money. Whether or not you find it on sale, it is still considered quite affordable, especially since it is designed to be very durable with comfort that lasts for years. Each layer plays an important role in making this mattress as good as it is. If you are searching for a mattress that’s fairly priced and guaranteed to have reliable durability, this is a great option for you. As mentioned earlier, each layer plays an important role in making this mattress as good as it is. The Olee Sleep 13-Inch Box Top Hybrid Gel Infused Memory Foam Innerspring Mattress is available in Full and King sizes but if you’re looking for a size in between, you can simply contact the distributor to check on availability. This mattress has a 7.5-inch layer of heat-treated coil that keeps the mattress firm. It has a 1-inch eco friendly gel cool iGel that lets you sleep in the right temperature at all times. It has the ability to conform to your body’s shape and curves thanks to the 1.5-inch soft memory foam layer. To disperse and absorb your weight and to lessen motion transfer when you have a sleeping partner, this mattress has a 2-inch high-density foam. Lastly, to help make this mattress very breathable, it comes with a 2-inch poly jacquard fabric with hollow conjugated cover. Aside from its extremely comfortable layers of innerspring coils, gel and memory foam, this mattress is even more ideal because of the soft and smooth feeling of its fabric cover. It is breathable and effectively conforms to your body’s shape. However, this is a plush mattress. If you’re more inclined to firm mattresses, then this might not be the best choice. No worries as there are other Olee Sleep mattresses that are also very comfortable coming up on this list. 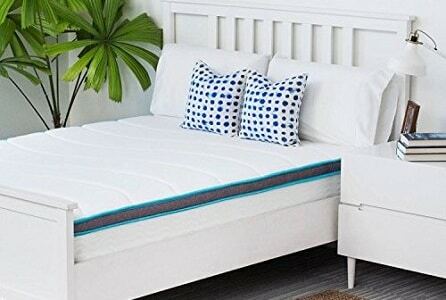 While the Olee Sleep 13-Inch Box Top Hybrid Gel Infused Memory Foam Innerspring Mattress is fairly new in the market, many owners have already been sleeping on this mattress for a couple of years. So far, they only have good things to say about it. The mattress doesn’t sag and stays in place. The materials used are high quality and the workmanship is very impressive too. With a mattress like this, you need not worry about replacements for several years to come. By far one of the most affordable mattresses on this list, the LinenSpa 8-inch Memory Foam and Innerspring Hybrid Mattress is your best choice if you’re on a tight budget. So how does memory foam and innerspring layers fit into a 8-inch mattress? You’ll be surprised how this less thick mattress has all the features you need from an extremely comfortable bed. Owners purchased this for different reasons. Some chose this mattress as their permanent mattress; others are getting it for their kids especially the smaller-sized ones such as the Twin or Full. There are others using this as a guest bed or an extra bed since it is very affordable. No matter your reason for purchasing a mattress, this is definitely worth considering because the LinenSpa 8-inch Memory Foam and Innerspring Hybrid Mattress is simply a good bargain. The bottom layer of the LinenSpa 8-inch Memory Foam and Innerspring Hybrid Mattress is made up of tempered steel coils that offers back support and gives your bed the right amount of bounce. It has a foam comfort layer, which effectively adds a soft and very comfortable conforming feeling that you’ll get from the surface. In between the foam comfort layer and the tempered steel coils is a felt pad layer that allows spring insulation and adds comfort and durability too. On top is a quilted memory foam so that your weight is distributed evenly as you lay down on this mattress, which effectively relieves you from body pains and aches. The LinenSpa 8-inch Memory Foam and Innerspring Hybrid Mattress is very easy to set up. It arrives rolled and boxed for convenient moving to your bedroom. It expands to its original size shortly after taking it out of its packaging. The foam used on the LinenSpa 8-inch Memory Foam and Innerspring Hybrid Mattress is CertiPUR-US certified, which guarantees eco-friendliness, high quality and safe materials used. Many so-called experts claim that hybrid mattresses are not as durable as conventional mattresses. The LinenSpa 8-inch Memory Foam and Innerspring Hybrid Mattress proves otherwise. The felt pad found between the springs and the foam add to the durability because it prevents the coil from rubbing against the foam. In addition, you are getting a 10-year warranty with each purchase of the LinenSpa 8-inch Memory Foam and Innerspring Hybrid Mattress for your peace of mind. The second mattress from Olee Sleep that has made it to this list is the Olee Sleep 11-inch Euro Box Top Hybrid Innerspring Mattress. It looks luxurious, it feels luxurious and best of all, you don’t have to pay as much as you would for a luxury mattress. And while it is affordable, nothing about this mattress feels cheap at all. Once you try using it, you wouldn’t settle for other mattress types. Available in Queen and King sizes, if you need another size for the Olee Sleep 11-inch Euro Box Top Hybrid Innerspring Mattress, you can simply reach out to their customer support. This 11-inch mattress comes with independently encased innerspring coils that offer pressure relief across you body and efficient weight distribution. The top layer features memory foam that remains supportive and conforming through the years without sagging. It also has a luxurious looking cover that feels soft and smooth to the touch. While it doesn’t have gel-infused materials, it is still breathable and remains cool through the night. According to owners, the Olee Sleep 11-inch Euro Box Top Hybrid Innerspring Mattress feels firm. The Olee Sleep 11-inch Euro Box Top Hybrid Innerspring Mattress has kept it simple. It has been carefully thought of by designers and experts in comfort by coming up with the best coil system and memory foam combination. It is very comfortable and durable at the same time. The independently encased coils are made of tempered steel for guaranteed durability and efficiency. You can be rest assured that with this mattress, you will no longer be tossing and turning every night because it is simply one of the best out there. As mentioned, the coils used are made with tempered steel material. This material lasts for several years without deforming or getting broken. Even better, layers of memory foam and high-density foam for added durability protect the coils of the Olee Sleep 11-inch Euro Box Top Hybrid Innerspring Mattress. When on a budget, this mattress truly is a practical choice. The final Olee Sleep mattress that made it to this list of the best hybrid mattresses is the Olee Sleep 10-Inch OM Gel Infused Non-Weaving Top Innerspring Mattress. While it is the last one ranked compared to the others, it doesn’t mean it isn’t as good as them. In fact, this one is more affordable and is actually very popular among many consumers. Best of all, it comes with a 10-year limited manufacturer’s warranty. With comfort and durability delivered as promised, you will surely have no complaints with the Olee Sleep 10-Inch OM Gel Infused Non-Weaving Top Innerspring Mattress. According to customer reviews of the Olee Sleep 10-Inch OM Gel Infused Non-Weaving Top Innerspring Mattress, it is a very comfortable mattress to sleep in. Though it isn’t as thick as other mattresses like the 13 or 14-inch ones we have already reviewed, it is thick enough to look luxurious on top of your box spring and its thickness is also just right to give you the best support and comfort every night. The Olee Sleep 10-Inch OM Gel Infused Non-Weaving Top Innerspring Mattress perfectly combines pocketed innerspring on its base and the cool iGel memory foam on top. It feels cool no matter the climate and season. It conforms to your body’s shape and curves and is effective in pressure relief. The Olee Sleep 10-Inch OM Gel Infused Non-Weaving Top Innerspring Mattress a smooth and soft-top cover that remains comfortable and fresh through time. It has a gel-infused memory foam layer, which keeps the mattress cool even during warm summer night. As one of the most affordable and best-selling mattresses of Olee Sleep, you can check out actual reviews and ratings from owners who have mostly great things to say about this mattress. The Olee Sleep 10-Inch OM Gel Infused Non-Weaving Top Innerspring Mattress is available in Twin, Full, Queen and King sizes. Despite its low price, Olee Sleep did not cut around the edges where it matters to make this one of their most durable mattresses. It is meant to last for years, remains stable and sturdy through time without any sagging problems. Best of all, the Olee Sleep 10-Inch OM Gel Infused Non-Weaving Top Innerspring Mattress comes with a 10-year limited warranty from the manufacturer to give you your much needed peace of mind that you’re getting assistance should there be any defects on the mattress. No manufacturer indication on firmness level; however, some owners claim that it is medium-firm. It might be the last mattress on this list but the Zinus 8-Inch Hybrid Green Tea Foam and Spring Mattress is still worth considering. Especially since it is one of the most affordable you can find, if you are a fan of thinner mattresses, with enough support of course, then you will surely appreciate the Zinus 8-Inch Hybrid Green Tea Foam and Spring Mattress. Since it comes from Zinus, a reputable brand when it comes to mattresses and other comfort products, your satisfaction is truly guaranteed with this mattress. There are also other Zinus mattresses from the mattresses for backpain. Despite only being 8 inches thick, the Zinus 8-Inch Hybrid Green Tea Foam and Spring Mattress still managed to squeeze in important layers that makes it such a comfortable bed to sleep on. This mattress comes with a fiber-quilted cover that remains soft and smooth through time. Along with 6-inch coil springs, there are also combinations high-density support foam and green tea ViscoLatex foam comfort layer. It is a firm mattress though. If you’re looking for something very soft and plush, you can consider other mattresses from Zinus or the firm ones on this list. You can get this mattress in Twin, Full, Queen, King and California King sizes. The feature that differentiates the Zinus 8-Inch Hybrid Green Tea Foam and Spring Mattress from other hybrid mattresses we included on this list is its green tea foam. The mattress is infused with green tea extract and castor natural seed oil. This feature keeps the mattress fresh through the years. It eliminates bacteria and reduces odor especially after using this mattress for several years already. The Zinus 8-Inch Hybrid Green Tea Foam and Spring Mattress is easy to set up as it arrives vacuum compressed and rolled. As soon as you remove it from its box and package cover, it expands soon enough for you to sleep on it the same night. It takes about 48 hours, however, for it to expand to its original shape. It is affordable but the manufacturer still managed to throw in a 10-year warranty on this mattress. Truly, this Zinus 8-Inch Hybrid Green Tea Foam and Spring Mattress gives you the bang for your buck! The Perfect Cloud Hybrid Memory Foam Mattress 11-inch by (Queen) – Experience the Soft Touch of Memory Foam with the Comforting Support of a Spring Mattress – NEW 2018 MODEL incorporates innovation related to coil spring technology as well as memory foam technology. Thus, it is able to offer the best of both the worlds. The resulting mattress is immensely comfortable and also boasts a very high level of support to the user. These are indeed the two traits that are ideally required in a high-quality mattress. This hybrid mattress boasts 792 coils which are 16-gauge and are wrapped individually thus disabling any motion transfer possibility on the mattress. This feature is ideal for partners sleeping on the mattress. The comfort emanating from memory foam mattress and the support offered by the coil springs is combined in this hybrid mattress in such a way that the positive characteristics of both are enhanced thus the hybrid mattress provides the comfort associated with a foam mattress and the excellent support provided by the coil springs. The hybrid mattress also boasts a very high level of support as there are many different layers of foam which have different densities. All of these are further supported by pocket spring coils. Thus, both support and a soft feel are the hallmarks of this hybrid mattress. This hybrid is unique in offering this level of comfort with a high level of support. The user body motion is not transferred on this mattress thanks to the individually wrapped coils and the sleeping partner does not feel the motion of the user at all. This helps the user and the partner to have an extremely comfortable sleep and wake up totally rejuvenated and fresh. It combines the durability of the highest quality coil springs with the comfort of the memory foam. The top layers are the 3.5-inch CoolTouch plush Memory Foam as well as the gel infused memory foam. Underneath these, is the 5.5 inches of the individually wrapped coil springs. Thus, the amount of support and the comfort and plushness are unmatchable. The comfort is further enhanced by the inclusion of a premium knit cover which is a textile stretch knit cover. It is very easily removable in case care or cleaning is required. Featuring a durable zipper, it can easily be removed whenever there is a need to was it. The knit cover is extremely soft so much so that the user might not even want to put a sheet over it. It is extremely snuggly. The quality of this extremely plush quilted cover is so high that no linens can match it. The Perfect Cloud Hybrid Memory Foam Mattress 11-inch by (Queen) – Experience the Soft Touch of Memory Foam with the Comforting Support of a Spring Mattress – NEW 2018 MODEL carries a 10-year warranty which goes to show the confidence in its durability by the manufacturer. This mattress is CertiPUR-US certified and has been designed in the United States. The manufacturer offers a 30-day trial as well. The main source of the durability of the mattress is the 16-gauge steel of which the 792 individual coil springs are made of. It provides the perfect durability. Moreover, the lower layers of the memory foam are also of higher density thus adding to the durability of the product. The Sunrising Bedding 8-inch Natural Latex Mattress Queen Size Hybrid Independently Encased Coils Innerspring Mattress, Not Sagging and Sink, 120 Day Free Return utilizes the Talalay technology latex layer of foam which has the special characteristic of responding to the body movements of the user to offer as much pressure relief at different pressure points as possible. The latex is organic so it is resistant to dust mites and also helps to regulate the temperature of the mattress when the user is sleeping or resting on it. This extremely natural latex mattress is in full conformity with the 1633 federal fire test requirements. It is completely devoid of any flame-resistant materials or additives of this type. It is 100% natural. 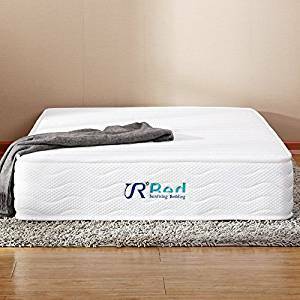 The layers of the 100% natural latex foam and the coil spring underneath give this hybrid mattress the unique advantage of perfect elasticity, and superior breathability, comfort as well as a long life and durability. The durability nature of this hybrid mattress makes it very economical and affordable in the long-run as it gives a very good value for the money spent. The layered combination of perfect comfort and elasticity which totally takes care of the body movements of the user to relieve pressure at various pressure points in conjunction with the coil springs at the bottom part of the mattress ensure that the user and his/her partner get totally undisturbed sleep throughout the night and at the same time are protected by the perfect support provided to prevent rollover, etc. as well as the support to the various body parts such as the neck, shoulders, back, etc. The independently encased spring layer has been made out of tempered steel which has a diameter of 2 mm. It is able to provide unparalleled support and performance and helps to resist any sagging in the spring as well as any possibility of the sink. There are a total of 825 coils that have been encased in individual pockets which disallow any possible motion transfer. Sunrising Bedding 8-inch Natural Latex Mattress Queen Size Hybrid Independently Encased Coils Innerspring Mattress, Not Sagging and Sink, 120 Day Free Return has a cushion-firm type of feel and this comfort mainly stems from the softness provided by the upper latex layer which performs extraordinarily to relieve pressure at the various pressure points of the body of the user and the sleep partner. It acts orthopedically against the numbness of the muscles on the user’s back, waist, and shoulders. This is applicable to all type of sleep positions and whether the user and the sleep partner are sleeping on the side, on the back or lying down on their stomachs, the mattress is equally capable of relieving pressure and eliminating any possibility of the numbness of their muscles. This is a perfect hybrid mattress which offers durability to the extent that the manufacturer has warranted it for a 20-year period. It is a limited warranty covering defects due to material and workmanship. On top of the long-term warranty, the mattress also comes with a 120-day free trial which is among the longest in the market for these types of mattresses. The mattress is CertiPUR-US approved which goes to show that no harmful materials like toxins, formaldehyde, heavy metals and allergens are present and that the bad odor has been fully eliminated. 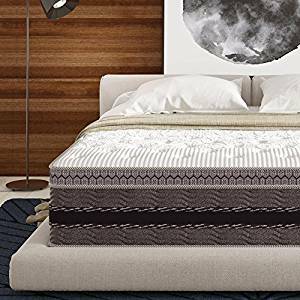 The WEEKENDER 10 Inch Hybrid Mattress – Memory Foam and Motion Isolating Springs – 10 Year Warranty – King is a perfect mattress for all types of sleepers whether they sleep on the back, on their stomach or on the sides. The unique support and comforting features of the hybrid mattress are ideal to support all such sleeping styles and preferences. The mattress ensures that the user and his/her partner are ensured a comfortable rest as the mattress has high breathability combined with softness and comfort. This ensures that the user’s body temperature gets regulated due to the air-flow available on the top layers of the mattress. The extended air-flow provides coolness in sleep and ensures that the user does not feel uncomfortable does not rise due to heat. The mattress has dimensions of 80 x 76 x 10 inches, however, it is available in other sizes like Twin, Twin XL, Full, Queen, and California King as well. The WEEKENDER 10 Inch Hybrid Mattress – Memory Foam and Motion Isolating Springs – 10 Year Warranty – King is composed of top layers of comfort foam which are 2.5 inches thick and it consists of the comfort foam, gel-infused memory foam as well as convoluted foam. The convoluted foam is of 1-inch thickness and is just above the coil springs. This combination enables perfect comfort as well as breathability for all types of users who sleep in all types of different positions. It is also able to offer a high level of support to the user’s body as well as to the sleep partner. Whatever, the sleep preferences of the user, the mattress has got the right features for a perfect night’s sleep enabling the user to get up i the morning feeling full rejuvenated and fresh. The 2-tone polyester fabric cover in this hybrid mattress is extremely durable like the mattress. It helps to add a very elegant and classy look to the bedroom of the user and has been built with the aim of providing unmatched comfort along with elegance. Both are aimed to last despite the mattress being extremely economical and this feature is very hard to beat on part of the competitors in the market. Whether the mattress is desired to be used in a college dorm or in one’s bedroom, it is able to provide a long-lasting comfort and support and is ideal for isolating motion between the sleep partners. 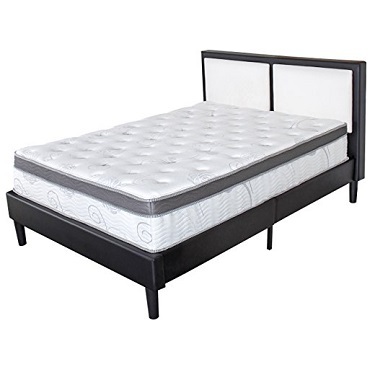 The WEEKENDER 10 Inch Hybrid Mattress – Memory Foam and Motion Isolating Springs – 10 Year Warranty – King is extremely durable as evidenced by the 10-year warranty offered by the manufacturer. 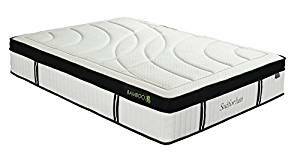 The individually encased coil springs which are 7.5 inches thick lie just below the top 3 foam layers which are 2.5 inches thick thus giving a total of 10-inch thickness to the mattress. As 75% of the thickness of the mattress is dedicated to the support, one can imagine the level of durability it provides as well as extended support to the user’s body to prevent roll-overs and sinking etc. The coils are heavy duty and perform very well. The top 2 foam layers have been nicely quilted into a 100% polyester cover which provides a premium level of comfort as well as perfect responsiveness and support. This also adds to the durability of the mattress as well as adding to the elegance and aesthetics of the user’s bedroom. 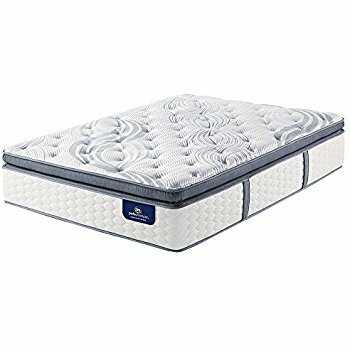 The Signature Sleep Justice 14-Inch Premium Hybrid Gel Memory Foam and Independently-Encased Coil Mattress with CertiPUR-US certified foam, Firm Mattress Support – Queen is an ideal choice for users who are interested in getting a highly comfortable and highly supportive mattress which is 14 inches thick in all. It has got a 10-inch layer below the foam layers of coil springs thus providing ideal support. All those users who prefer thick mattresses would love to own this mattress that gives premium levels of both comfort and support. The mattress is also ideal for those users whose priority is to have a mattress that contours itself along the spine and supports the back in a perfect way. The mattress has dimensions of 60 x 80 x 14 inches and weighs 103 lbs. The Signature Sleep Justice 14-Inch Premium Hybrid Gel Memory Foam and Independently-Encased Coil Mattress with CertiPUR-US certified foam, Firm Mattress Support – Queen is a premium quality hybrid mattress that has been designed and manufactured with a high level of craftsmanship to provide to the user a high level of comfort, balance, proper spinal alignment and excellent support. The hybrid mattress has been made out of a mix of gel-infused memory foam which increases the breathability of the mattress and individually encased coil springs which are the source of the high-level of support provided by this layered mattress. The foam layers are of high density and as such provide coolness and comfort throughout the night. The coil layer is 10 inches thick and each of the coil spring is independently encased therefore the weight distribution on the mattress is just ideal and it is thus able to contour the body of the user perfectly. The foam used in this mattress is CertiPUR-US certified foam. The layer of the memory foam which is gel-infused is responsible for the excellent air-flow and breathability of the mattress which keeps it cool throughout the night. The gel beads are the source of the enhanced air circulation through the mattress. AS far as providing support is concerned, both the memory foam as well as the coil springs respond to the weight and the body movements of the user and his/her partner and provide the ideal level of combined support. Perfect spinal alignment results in uninterrupted sleep and an ideal level of comfort. The combined action of the layers in tandem with each other prevent the user’s body from sinking into the mattress. The mattress is compressible which helps in shipping and handling. The mattress is shipped in compressed form and fully expands after opening within 48 hours. 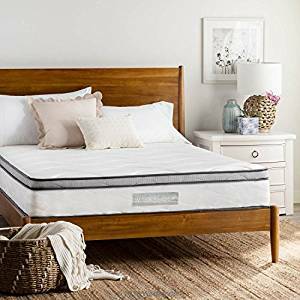 14-Inch Premium Hybrid Gel Memory Foam and Independently-Encased Coil Mattress with CertiPUR-US certified foam, Firm Mattress Support – Queen is dedicated to the coil springs. This goes to show that the level of support and durability are prioritized in this mattress. The memory foam also adds to the durability and support. The coil springs are strong and robust and are designed to last for a very long time. The combination of the memory foam and these coil springs provides not just support but durability to this hybrid mattress as well. Perfect comfort and breathability due to gel-infused foam. 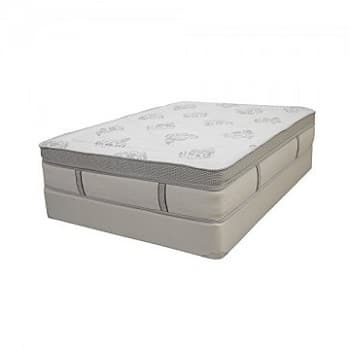 The Suiforlun 14 Inch Hybrid Gel Memory Foam and Innerspring Mattress, King has an extremely comfortable and plush feel as the hybrid mattress has got the traditional independently coiled innersprings but these have been combined with the gel-infused memory foam of the latest generation. The two of these together ensure that the user is able to get a very comfortable good night’s sleep without the need to toss and turn due to discomfort from heat or lack of support. The mattress does not allow the user to sink deep into the mattress and at the same time relieves pressure from the pressure points. The mattress offers a high level of breathability and air-circulation thanks to the gel-infusion in memory foam whereupon the gel beads aid to create the desired air circulation and thus the coolness throughout the night. This hybrid mattress has product dimensions of 76 x 80 x 14 inches and weighs 129 lbs. however, it is also available in other sizes such as Twin, Full, Queen and California King. The top layer is composed of the gel-infused memory foam which is highly breathable, is of premium quality and offers a very plush feel to anyone who touches the mattress. It has been covered with a bamboo fiber which is the reason behind the soft feel and the plushness. This layer is able to provide the user of the mattress with an optimum level of comfort that cools the user’s body and relaxes him/her to the ultimate. The user is thus, able to enjoy deep rest after a long and hectic day and wake up fully rejuvenated and fresh for the next day. There is a total of 5 layers of foam. The gel-memory foam layer is the topmost layer. There are 4 other layers of foam under this top layer which allow the mattress to respond and conform to the contours of the user’s body. 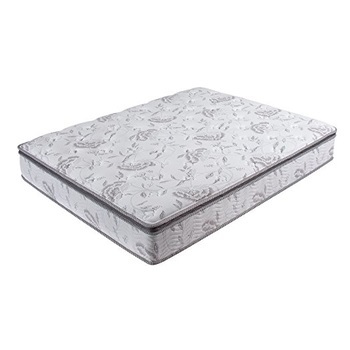 These 4 layers of foam strongly support the body of the user especially the back and prevent tossing and turning as experienced by many others on other different types of mattresses throughout the night. The lowest part of the mattress provides the ultimate in support through the independently encased coil springs. The mattress features gel-memory foam in its top layer which enhances air-flow and effectively draws away heat from the body of the user. The result is a very cool sleeping surface which is indeed the best benefit that can be derived from the gel-infused foam layer. The foam is also able to mold is shaped to go along with the shape of the user’s body. It also provides very valuable support at exactly the points where maximum support is required. It responds to the weight of the body and relieves the pressure points. Spinal alignment is another special advantage that accrues to the user from the foam and thus helps a great deal in reducing pain and aches in the body. Similarly, the bamboo fabric is surprisingly soft and extremely pleasing to touch and feel. However, at the same time, it is extremely durable as well. It does not irritate the skin of the user in any way and does not result in him/her having any allergic reactions. It is also capable of adapting to the user’s body temperature which results in the user being warm in winters and cool in summers. The Suiforlun 14 Inch Hybrid Gel Memory Foam and Innerspring Mattress, King is highly durable due to a variety of factors. First of all, the coil innersprings are extremely long-lasting, sturdy and robust. They are known to be very durable and are time-tested in this regard. Secondly, the bamboo fabric used in the top foam layers ads to the durability of the mattress as well. The bamboo fiber is highly durable despite being soft and pleasant to touch. Lastly, the foam layer is extremely durable as well as it supports the user’s body along with the coil innersprings.